Analyzing the quality of a product has gained spotlight just a few years back. As important as developing the product, it has become equally important for the product to undergo a testing process in order to attain 100% outputs. As per the estimated records, technology is focusing more on software quality assurance rather than the manual testing process. 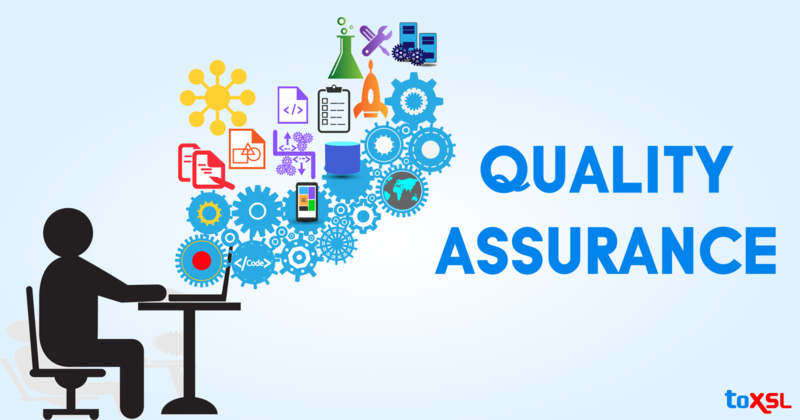 The concept of Quality assurance went into the mainstream to overcome the tedious manual testing process and making the process easy, accurate and simplified. Quality assurance is an essential step towards a successful product with 0% chances of failure. So, before we avail for QA, there are a certain set of principles that one must keep in mind. To remove the complete possibilities of failure, it becomes necessary to make a thorough pre-planned structure of the project which includes a brief planning, analysis, defined and documented procedure of the project. QA is not a single process that can be carried out by just one particular team. In order to attain positive outputs, there is a need for the coordination amongst the developers, management and the testing team. Testing is a process which just can’t be judged altogether at the last moment. Rather, it needs a continuous testing stage after stage in order to rectify the mistakes at that moment itself. Resulting in reduced time and cost savage. Once you have begun the testing process, it is equally important to choose the exact required tools that match your project. As technology changes its phases every now and then, it becomes a necessity to be aware of the upgradations and advancements made in the technology as per our projects. Be aware of the latest market trends, and stay updated. Apart from all these basics, it is also important to focus on the duration acquired, quality of the projects and obviously shaping out a bug-free product. One of the reputed company which is the perfect example of providing excellent QA services is ToXSL Technologies. The team here comprises of professionals who have expertise in development, analyzing strategies with a good hand in technical skills. Together, they assure that the product fulfills the required standards and meets customer expectations. Before launching the product in the market, it undergoes a certain set of testing and is analyzed. If the tests get verified with a quality as expected, the product is put forward for the final launch. Otherwise, an effort is made by the team to detect the errors and fix them on priority basis keeping the goals in mind. The team deals with the process in a step by step manner with a pre-planned analysis and most effective tools. It is made sure that there resists a proper balance between the quality of product along with customer satisfaction. Therefore, the company holds a good reputation for offering you the premier quality products across all the available products with 100% guaranteed customer satisfaction.